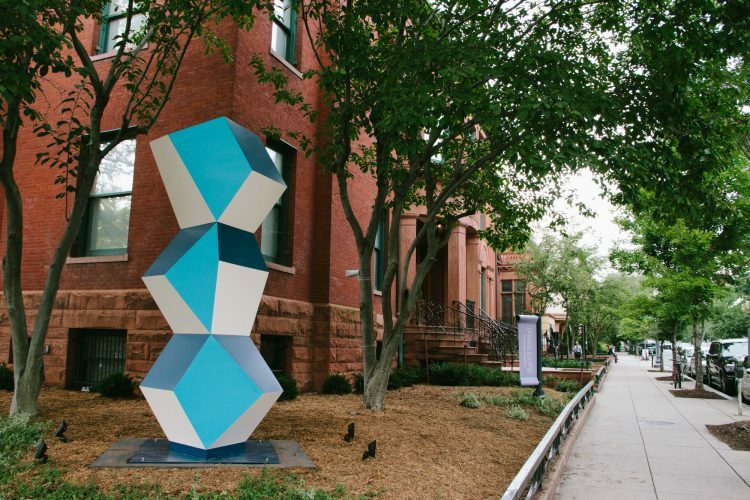 On September 16, the Phillips unveiled a new sculpture by Angela Bulloch on the corner of 21st and Q Streets. We asked Angela a few questions about her artwork. Stay tuned for Part II of the interview. You were born in Canada, studied in the UK at Goldsmiths College, and are now based in Berlin. Can you talk about what drew you on this trajectory and how it has impacted your work? I was born in the middle of nowhere in Canada, a very remote and small place, and yet I always wanted to live in the city, where all the people and museums are and such. I had to wait until I was old enough to go and study at college and that was in London. From there it was easy to visit many other cities and I found Berlin exciting and possible to live in, for a whole combination of reasons. I continue to travel frequently, in all directions. Your work is known for your exploration of mathematical, social, and aesthetic systems and structures alongside aesthetics. What appeals to you about how they intersect? The interesting thing about systems is that they order your time, your life, the environment in such a way that the mistakes or anomalies jump out at you. When the pattern is broken you feel it. If the note is wrongly played on a musical score you instantly know about it. The ruptures are interesting. 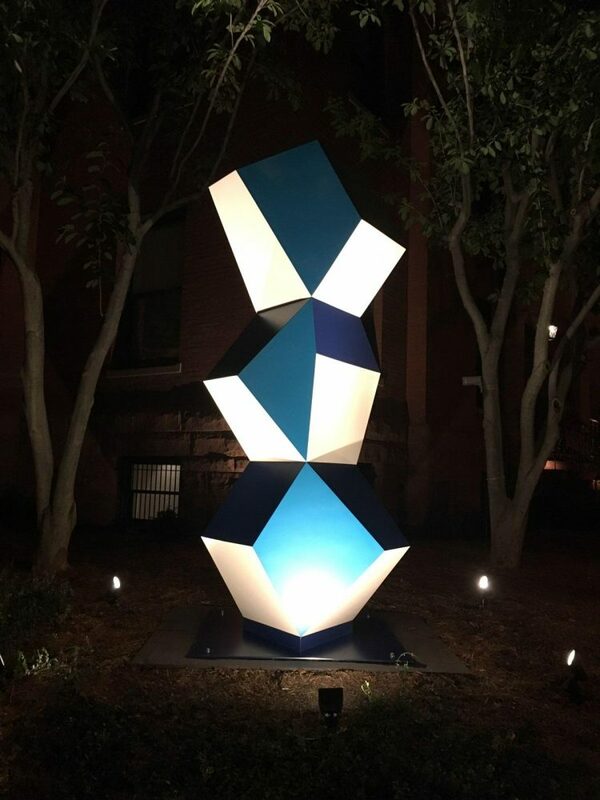 You demonstrate extraordinary conceptual creativity in a wide variety of media, including sculpture, light, sound, and video installation. Have you always been interested in working in diverse media or have you found yourself organically exploring different materials? I find it more interesting to work across or with various different media because then I can focus on the ideas or the dynamics of a situation rather than only on the media itself. Tell us about your Stack series. I think of them as the Rhombus series, referring to the four sided shapes or rhombi within the three dimensional rhomboid form, but, yes, some of them are stacks or the same forms stacked on top of one another that forms a stack. There is one group I have made that I call Totem Pillar works because the forms stand on top of one another in a stack or a totem and that Totem stands then on top of a pillar. The basic unit is a four sided shape – a rhombus. How do you make them? What is your inspiration for these sculptures? At first I conceive of them within the virtually real place inside a computer using 3D drawing programs. It’s easy to play around with forms inside a space like that right up until you try to actually make them. Then after that it becomes more complicated, the simple 3D drawings are converted into engineering files which have to be very precise and self-sustaining. The sculptures eventually have to stand up in the real world under conditions of gravity, so the drawings often need some adjustments at this point—a reality check of sorts. Then the material is cut and puzzled together, the surfaces are treated in many different ways, the base plate (the means of attachment to the ground) is considered and chosen appropriately for the environment where it will end up. This one here was made to stand outside in all weather and has been prepared for that. Can you please describe this particular sculpture and its creation? 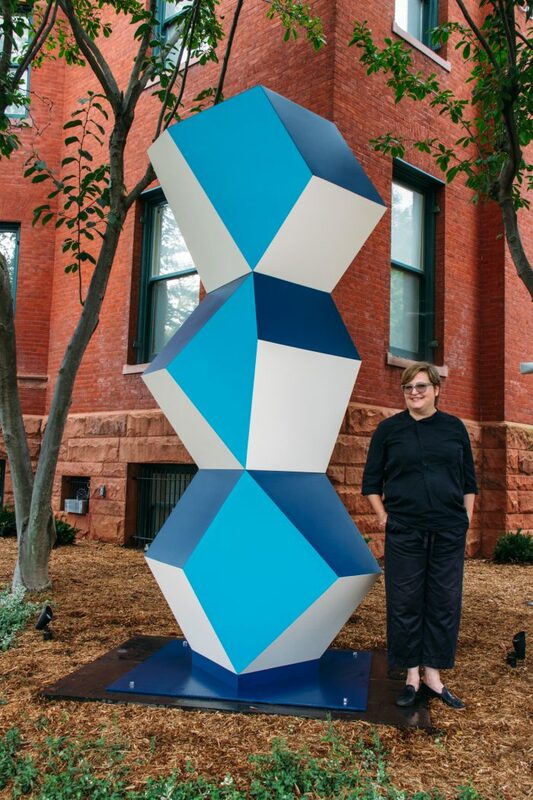 This one started with the context—I was asked to make a new sculpture specifically for the site outside The Phillips Collection, a commission. I tried out several versions and settled on a larger scale piece that holds the corner spot with more authority than a slimmer work that was the same height might have done.